A TEENAGER has been arrested following a police investigation into break-ins at two city properties. 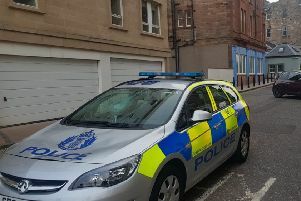 The offices of Edinburgh Research and Innovation in Roxburgh Street were broken into between 9pm and 10pm on Thursday, May 14, and various items stolen from inside. A short time later a flat in Nicholson Street was entered and personal belongings of the occupant stolen. On Tuesday, May 19, police officers involved with Operation RAC executed a stolen property warrant at an address in Tron Square and detained a 16-year old male. He has since been charged in connection with both housebreakings. Superintendent Alan Porte said: “We continue to target all acquisitive crime offenders, whether they are responsible for one break-in or several. “Operation RAC has so far resulted in over 100 people being charged with more than 250 crimes, but we will not become complacent.